Why we should bring Warner back?? 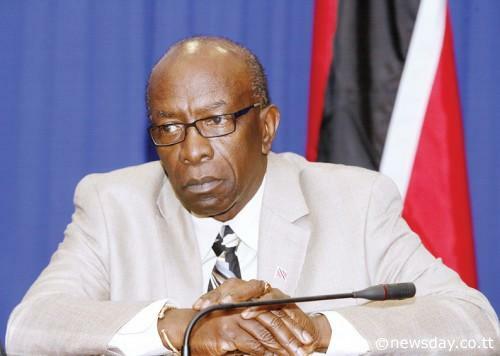 With deep regret we have learnt of the decision of Jack Warner’s voluntary resignation. Warner has been a top-ranked cabinet minister in two surveys and served at times as T&T’s acting prime minister. He has held the posts of Minister of Works and Transport, Minister of Works and Infrastructure and Minister of National Security. He has developed football to a great extent in T&T as well as the region. A great leader and an inspiring minister, Warner’s contributions to Trinbago cannot remain unnoticed. Trinidad and Tobago’s Captain Dwight Yorke said: “It was on Jack’s shoulders that we made it to the World Cup Finals. Without him, it would never have been possible.” There are many who occupy high positions in various fields but Warner has used his position to contribute much to football and the ministry. OLIVER CAMPS, president of the Trinidad and Tobago Football Federation (TTFF), has lauded the contribution made by Jack Warner. “For several years, we have benefitted from Warner’s support and, by great extension, his position in FIFA,” Camps noted. “Had it not been for his role, this region would not have experienced some of the benefits brought to it, in terms of the various facilities, football development and assistance programme and, even the staging of (FIFA) World Cups (the Under-17 men in 2001 and Under-17 women in 2010) and, for that, we remain truly grateful”, said Camps. Sports Minister, Anil Roberts praised Warner for his long service in FIFA, CONCACAF and CFU. “Warner has moved very high up into FIFA and therefore Trinidad and Tobago, the Caribbean and CONCACAF region have been the recipients of many benefits over the years, not only new bodies being formed (CFU) but also management funds. Trinidad and Tobago was able to host two (FIFA) Under-17 World Cups (and) the coaches and technical staff that he was able to attract,” said Roberts. Praising Warner for “changing the culture of the police service” during the 10 months that he served as Minister of National Security, Commissioner Williams said that he was “an exceptional minister” by his work ethic to get things done. While he remains a Member of Parliament for Chaguanas West, we wish him and his family the very best for the future and particularly in his role in the continuing development of Trinidad and Tobago as he contests the coming elections.